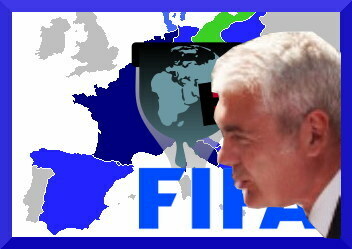 Why won’t the German media write about Željko Topić’s (now EPO VP4) special relationship with Germany? THIS second part deals with the German media’s reluctance to cover matters that put the EPO under a bad light (or negative context, however legitimate and relevant it may be). In part one we gave some examples and speculated about motivations, the most obvious one being the financial benefit Germany derives/reaps from a Germany-centric (or centralised in Germany) EU-wide patent office. Numerous irregularities are alleged to have taken place at the State Intellectual Property Office. correspondence and documentation of the DZIV and whether this oversight has been corrected in the meantime remains unclear. Unofficial and independent sources within the DZIV believe that a certain EU institution known by the acronym OLAF may take an interest in the case. This case is eerily reminiscent of that of Robert Ježić**, who, in criminal proceedings relating to the “Sanader – INA” affair, was alleged to have illicitly received funds, which are still lying untouched in the bank account of that esteemed businessman and skipper from Rijeka. Even the trade union which represents public officials and servants of the Republic of Croatia [Croatian: Sindikat javnih službenika i zaposlenika RH] appears to have made some new findings. It is to be expected that the trade union, acting in its capacity as an official institution, will soon initiate further criminal charges against Mr. Topić. Having regard to the suicide of a DZIV-employee which apparently stands in a direct and causal connection to the treatment of DZIV-employees by the Director-General – it is possible that well over a hundred pages may be needed to document the charges to be raised in relation to these matters. According to unofficial sources at the Ministry of Science, Education and Sports which is headed by Minister Željko Jovanović and responsible for the actions and the oversight of the DZIV, the voluntary retreat of the Director-General to some “fall-back position” is now expected. However, those including first and foremost Minister Jovanović, who are under the impression that the Director-General was acting alone in relation to all of the irregularities of which he has been accused are completely deluded. Any police and judicial action aimed at neutralising this official “pest”, will also have to include within its scope all of those associated with him. This is especially true of those who in a “well-orchestrated action” were parachuted from the so-called HDS-ZAMP*** into the DZIV, in order to enjoy a more relaxed and less stressful way of life at the expense of the state budget. According to our sources, in addition to the Director-General of the DZIV, the following persons could come under observation by the competent authorities and be the target of preliminary investigations: Romana Matanovac Vučković, Ana Marinković Rački, Višnja Kuzmanić, Jasmina Dervović and others. It is noted in conclusion that Romana Matanovac Vučković was appointed a few days ago by the government of the Republic of Croatia for a period of six months to the position of Deputy Director at the DZIV which means that she is firmly seated in the saddle there. The DZIV, however, is only the scene of the crime. It seems that the trail leading to the guilty parties heads towards ZAMP and from there onwards to much more exclusive and interesting political pastures. * Note: “a prepared written confession” (Croatian: oprosnica) is a new colloquial term referring to the practice according to which the state prosecutor and USKOK may decide not to press charges against a witness whose statement contributes to the exposure of criminal activity (for example, if the statement leads to the exposure of the people at the top of a criminal pyramid). *** The Croatian Association of Composers, a “collecting society” for royalties similar to GEMA. The above is important because it not only serves to reinforce reports about many criminal charges against Topić, a suicide of someone close to Topić, a retreat of a person close to Topić (which may seem to an outsider like a coverup attempt) but it also shows a German role, the Lufthansa angle aside. Remember that Topić very recently lost in Croatian courts (yet again). Shouldn’t the German media have an interest in it? This begins with an old story which goes back to 2012 when the Croatian press published an article which amongst other things included a claim that the German Patent and Trademark Office (Deutsches Patent- und Markenamt – DPMA) made a transfer of funds to the Croatian State Intellectual Property Office (DZIV) which ended up in a private bank account belonging to the then Director-General of the DZIV. The article also mentions other matters including reports of a suicide at the DZIV and the controversial appointment of Romana Matanovac Vučković as a Deputy Director. Romana Matanovac Vučković subsequently ended up “cooperating with Pohl Consulting & Associates GmbH from Berlin and the Danish Patent and Trademark Office as a consultant in the project of legal assistance in the field of intellectual property at Kosovo, also funded by the European Union”. The connection to the Danish Patent and Trademark Office is interesting and raises the question as to how far Kongstad who currently occupies the position of Chairman of the EPO’s Administrative Council is involved in these matters. Getting back to the alleged transfer of funds from Germany to Croatia, according to available information there hasn’t been any further investigation so far into this matter in Croatia which is not surprising given that until recently the former Director-General of the DZIV seems to have enjoyed some kind of political “protection” in his homeland. 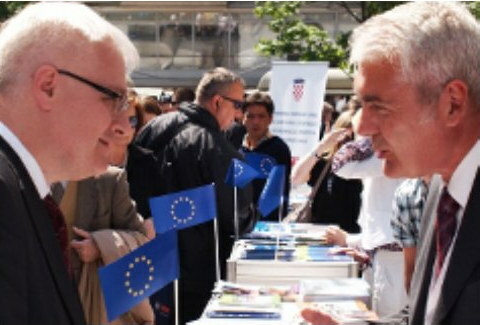 The photograph in the 2012 article referred to above shows him together with the former Croatian President Ivo Josipovic who failed to secure re-election in January 2015. Shortly afterwards the former Director-General of the DZIV lost his defamation case in Zagreb. It is rumored that some people are now interested in having the suspicious transfer of funds from the DPMA to the DZIV investigated in Germany. This initiative is at a very early stage and nothing more can be revealed at the moment in order not to jeopardise the ongoing investigations. The point is that if such a transfer of funds did in fact take place it could also be indicative of corruption at the German end. Bearing in mind the stories about Lufthansa in Croatia, it is not beyond the bounds of possibility that there were some “sweetners” paid from Germany to keep people in Croatia “on the right side”. In response to queries from German journalists, the DPMA has officially denied that any transfer of funds to Croatia ever took place. However, this blanket denial may not be entirely credible given that the official website of the DPMA mentions that there have been official co-operation programs between the DPMA and Croatia in the past. The unresolved question here is whether these co-operation programs involved the transfer of funds and, if so, what exactly happened to the money. If any substance was found to the rumor reported in the Croatian press in 2012, it could be highly embarrassing for the German Justice Ministry which is responsible for the DPMA. This might explain why the current German Justice Minister, Heiko Maas, seems so eager to support Battistelli and is not at all concerned about the current problems at the EPO. If Battistelli goes down it could open up a whole can of worms (or maybe even several cans of worms ?) for Heiko Maas.